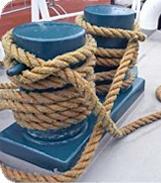 Click Here for all Dex-O-Tex Marine Product Technical Data Sheets. Click Here for the Dex-O-Tex Marine Brochure! Since 1938, Crossfield Products Corp., headquartered in Los Angeles, California has manufactured polymer systems ideal for new construction and renovation projects. Installations completed by Factory Trained Professional Applicators ensure high-quality and long-term performance of these polymeric and cementitious construction materials. Dex-O-Tex's performance proven decking materials are all fluid-applied, either directly over metal decks or over previously applied Dex-O-Tex underlayments. Formulated with environmental requirements in mind, these materials contain no hydrocarbon solvents and meet all volatile organic substance limitations. All Dex-O-Tex Polymeric Decking Systems are jointless, slip-resistant, fire-retardant and decorative. Specific flooring systems can be engineered to meet your need. Dex-O-Tex marine underlayments are performance proven materials used throughout the marine industry to fill and fair off irregularities of deck plates before the installation of finished deck coverings. They are also used to create pitch in the deck for drainage, ramping, or to make smooth transition. Applied directly to primed metal surfaces, Dex-O-Tex Marine underlayments have good adhesion and do not require any type of mechanical anchoring. These materials are used on every conceivable type of vessel, ranging from harbor tugs to aircraft carriers, drilling rigs to luxury liners. This group of performance driven Dex-O-Tex products is designed to meet special service requirements. They include applications for spaces subject to heavy rolling loads, deck covering for weather exposed, interior areas and fire protection.